In Kentucky, birth options are extremely limited, with zero birth centers and almost no options for midwifery care outside of the hospital. One woman has been trying to open a birth center for years—spending a quarter of a million dollars of her own money—but local hospitals have succeeded in stalling out her effort. The state has one of the highest Cesarean section rates in the country, and boasted several hospitals with rates of over 50% in 2012. 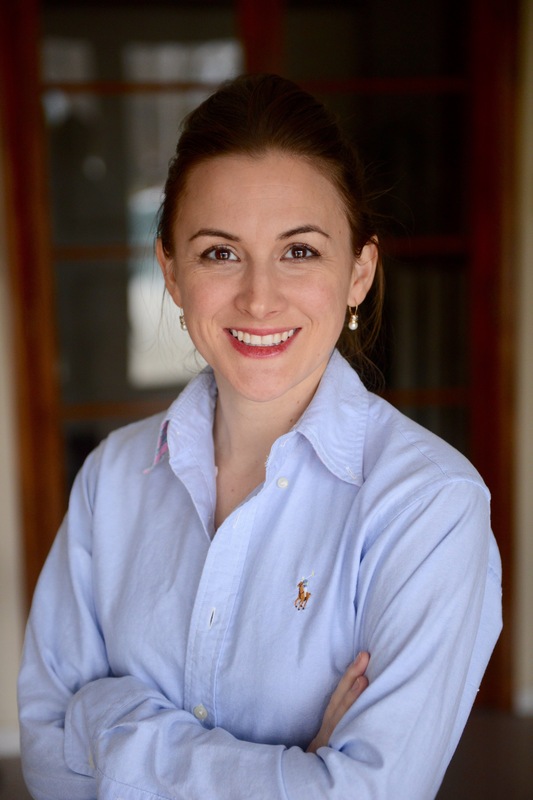 In my own community, Lexington, I hear the same stories you hear in other areas of the country where birth isn’t done so well: starving women in labor, mandatory stirrups for pushing, mandatory Cesareans where vaginal birth after Cesarean isn’t “allowed” or supported, and bait & switch by providers who promise support for unmedicated birth and then don’t deliver it. 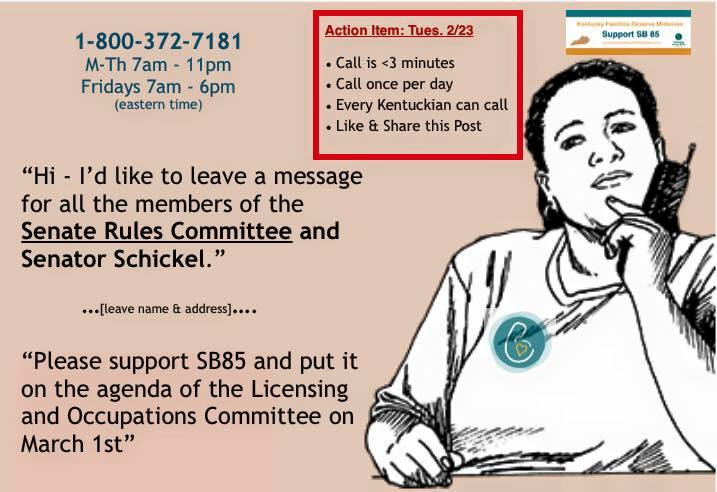 Now, a coalition of Kentucky families has secured bipartisan support (over a third of the senators are co-sponsors) for SB85, a bill to license Certified Professional Midwives (the category of midwives trained in out-of-hospital birth per a national credential). This bill is compliant with U.S. MERA agreements and creates an option for Kentucky families to choose out-of-hospital birth with someone who is trained, certified, and licensed by the state. It’s a big deal that the Kentucky Home Birth Coalition has gotten this far, and they should be proud of themselves. One legislator told a coalition leader they have never seen this much grassroots support for any bill. 1. 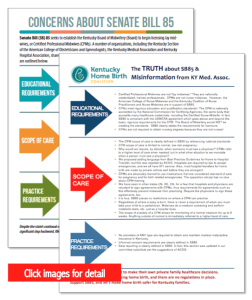 The Kentucky Hospital Association and Kentucky Medical Association (neither of which has engaged in talks with the coalition) have distributed materials opposing the bill, completely misrepresenting the facts about the bill and about CPMs. What they describe in their materials is factually inaccurate about these midwives and the bill itself. 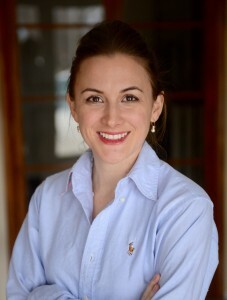 Among various other inaccurate, uninformed, and misleading statements, they misrepresent the CPM credential–repeatedly calling CPMs “lay midwives” (which is a derogatory term for traditional midwives who have not gone through formal education)–and claim that CPMs are “not required to meet education or qualification standards”! Again, the purpose of the bill is to create training and educational standards for Certified Professional Midwives in Kentucky. Based on the statements made by these associations, you have to assume they have never seen the bill and have no idea what a Certified Professional Midwife is. 2. Numerous state and national nurse-midwifery organizations are in support of the bill–including the American College of Nurse Midwives and the Kentucky Coalition for Nurse Practitioners and Nurse Midwives. BUT last night we heard that various individual nurses and nurse midwives have opposed the bill, including someone claiming to represent Frontier Nursing University–the #1 school for nurse midwifery in the country (based in Kentucky!). Yesterday, a letter from Frontier’s president said they supported the bill, but only if it were rewritten in a way that makes all of Kentucky’s current CPMs ineligible to practice–a proposition that falls outside of U.S. MERA agreements. A bill that will license zero midwives is not a viable option for Kentucky families. The cumulative effect of all of this, just over this past weekend, has been for the bill to be kicked back to committee just when everyone thought it was moving forward. If that happens, CPMs will still not be able to practice in Kentucky and families having home births will still have to traffic in an underground market—hoping and praying there is no need to transfer to a hospital. Kentucky and non-Kentucky residents can help! 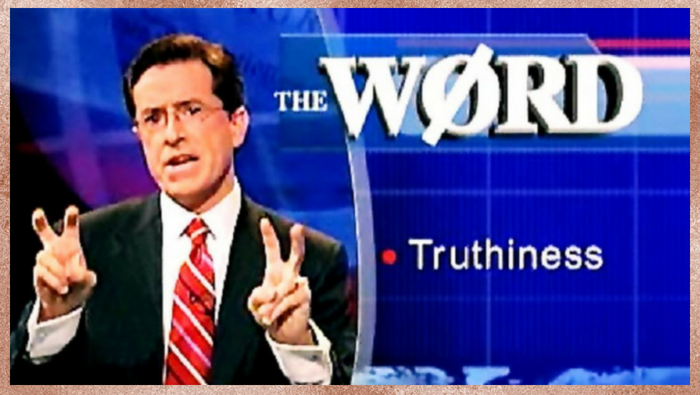 > You can tweet the hospital and medical associations to “Tell the truth! Support the USMERA agreement and support SB85”. Please be respectful and professional–it is always best to take the high road. > You can also tweet the Senate leadership to tell them to “support SB85 as written and let it be heard in Licensing ASAP”! Please be respectful and professional–it is always best to take the high road. > Kentucky residents can also CALL our leadership to say the same (see graphic below). Kentucky residents can also write letters to the editors of your local papers (see my example at bottom). I wrote you a few weeks ago by regular mail about SB85, to license Certified Professional Midwives in Kentucky, and I thank you for your gracious response. It has just come to my attention that the Kentucky Hospital Association and Kentucky Medical Association are blatantly misrepresenting the bill to their members and, I assume, to our legislators. Most concerning, they claim the bill licenses “lay” midwives (in fact, it licenses only Certified Professional Midwives) and that it has no educational or training component, when, as you know, the entire purpose of the bill is to establish those standards. These organizations, of course, profit financially from opposing this bill. Meanwhile, Kentucky families support SB85 because the well-being of our mothers and babies is our first and only concern. I would very much appreciate it if you would forward this message directly to your colleagues or otherwise notify them that the claims being made by these organizations are inaccurate. Thank you from the bottom of my heart for helping protect family interests against corporate interests! As Kentucky families desperately seek safer, more cost effective maternity care options, the Kentucky Hospital Association and Kentucky Medical Association seek to block our options. SB85, a bill to license Certified Professional Midwives, allows nationally credentialed and trained midwives to be licensed by the state to serve healthy, low-risk women in out-of-hospital settings. As the bill winds through the legislative process with wide bipartisan support, these organizations representing for-profit institutions blatantly misrepresent the bill’s content and intent. In publications to their members and our legislators, they smear professional midwives by calling them “untrained” and uneducated, and they insult the hundreds of families supporting this bill by claiming that we need more regulation from the government around private family healthcare decisions. In fact, the entire purpose of the bill is to establish training and credentialing requirements for Kentucky midwives, making birth safer, healthier, and less expensive for those families who choose this option. These organizations are clinging to a monopoly on maternity care that has produced one of the nation’s worst C-section rates, widespread mandatory surgery policies for women who have had C-sections, and C-section rates in individual hospitals of over 50%! Families, rather than for-profit institutions, should decide what is safest and best for them. I urge our legislators and the public to get the facts on SB85—and see through the tactics of organizations that stand to lose their corner on the market. This coalition of working families raised money for three years to hire a lobbyist so they could seriously pursue this bill. Please help keep the effort alive by contributing to Kentucky families’ efforts! Click here to give. I think I’m very tried of the government being involved in anything that has to do with reproduction.When people want to do the right thing for their families,they are treated like criminals.I had three out of four babies at home years ago.If it weren’t for the underground birth movement I couldn’t have found a midwife.And the last child I had we delivered without a midwife because they were all afraid for a good reason.But I do have to say that having proper midwife is soooo important.Because one of my lay midwives was very poor and did a horrible thing to me.She took the muscus plug out too early to start my labor because she needed to pay her rent.And my child has suffered due to being born two weeks early ever since.So be sure you have a really good midwife.It took me years to figure this out until I talked to another midwife.